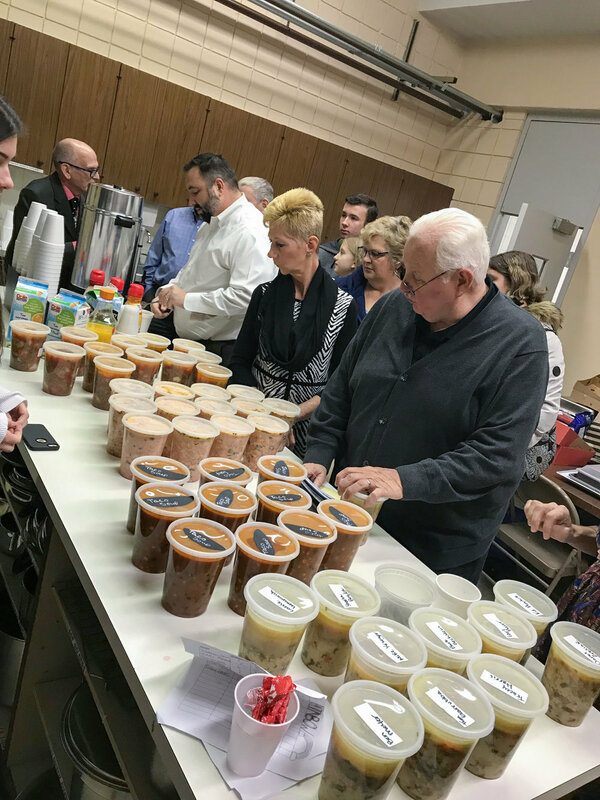 The youth group would like to thank the congregation for purchasing soup from our soup fundraiser on December 9, 2018. All your support is helping the youth group get to the National Youth Gathering In Minneapolis in July . Our next soup fundraiser is scheduled for March 10, 2019. Hopefully, that groundhog won't disappoint us this year! Before long we'll be entering the Easter season and springtime. Try to stay tuned to our communications as we move forward into this coming year. Our next Voter's Meeting will be April 28th and by then, Easter will be over and summer will be coming fast. Time waits for no one. Everyone of us has joined various organizations over the years. I sure have joined a lot of organizations with which I share professional, personal or other similar interests and opinions. One day I was attending a meeting of a rather large organization to which I belonged when the presiding president addressed the membership and asked us, "are you a member of this organization, or do you just 'belong'...?" I must admit I had to think about that for a moment. He went on to explain that a "member" was akin to your arm or leg, being a "member" of your body; a member was something that you really didn't want to be without and something like your legs, which you needed in order to walk. A "belonging", or something that "just belonged" to you wasn't quite as im-portant. Your shoes are belongings. They're useful, but, when they're old and worn you throw them away and buy a new pair. We're all members of this church and not just belongings. When someone asks you, "what church do you attend,? ", do you reply, "I belong to Zion Lutheran Bridgeville," or, do you reply, "I'm a "member" of Zion Lutheran Bridgeville," instead? "Belong to" or "Member of?" There is a differ-ence. It's part perception and part reality. Zion doesn't "own" you and Zion won't throw you away when you get old. Zion Bridgeville desires and needs "members", not "belongings." Each of us has "many members", like our arms, legs, eyes, and ears are members of our bodies, with each providing a different function. Together, as a church body, we're all members of Zion Bridgeville. Romans 12:4-5 says it best: "For as in one body we have many members, and the mem-bers do not all have the same function, so we, though many, are one body in Christ, and individually members one of another." Hmmm, that last part is interesting, isn't it? We're "members one of another." We're one body in Christ as true believers. How can we "belong" to anything of this Earth? We're all "members" of the only Body that matters, and as such, we're "not our own, we're paid for with a price." (1Cor. 6:19-20, paraphrased). Nothing of Earth owns us. Our membership is special. We celebrate that bond of membership and saving grace when Pastor serves up a wonderful feast each week at the Lord's table. It's nice to have all our members present to hear Good News boldly proclaimed in truth and purity. See you on Sunday to thankfully celebrate we're not like that lost pair of worn shoes!